A leading vehicle manufacturer had a requirement for crash rated perimeter security at a secure site in Ryton, Coventry. As part of development of the site, perimeter access control was assessed, with the requirement for additional measures needed. 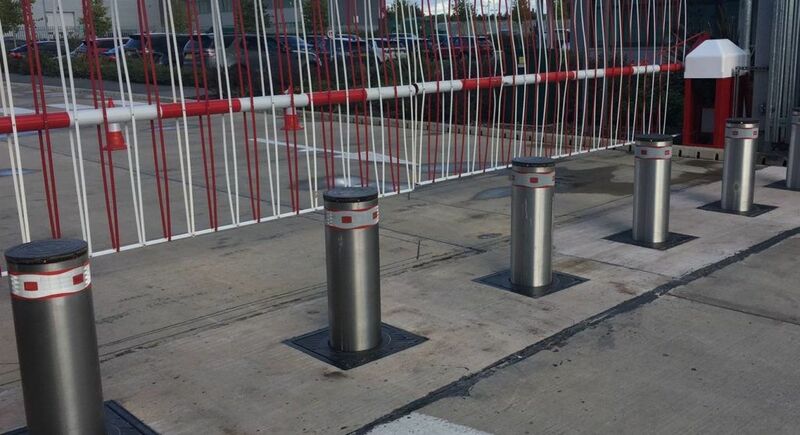 Macs have installed 9 x K4 PAS68 Automatic Hydraulic Bollards, 275mm x 800mm, at the site in Coventry. The bollards add additional security to the automatic barrier systems installed. The system is controlled by way of manned gate house to lower and raise the bollards to allow access. Standard: K4, based on FEM simulation by accredited third-party Laboratory according to PAS68:2010 7500/50/N2, including ASTM2656:2007 M30 (ex K4, SINGLE bollard).